Greetings everyone! 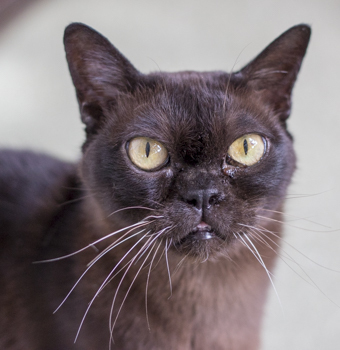 My name is Kerby and I am an 8 year old Burmese with a personality as striking as my looks. You will never be lonely while I am around as I am quite the conversationalist! My thoughtful insights on life will inspire you and keep you entertained. Not only am I wise and beautiful, but I’m also very friendly with other animals and all people. Don’t believe a cat this perfect can exist? Come meet me in person at the Pixie Project cattery! I am fixed, vaccinated, and microchipped. My adoption fee is $100.